Still time to see Pompeii: The Exhibition, at the Ronald Reagan Presidential Library and Museum, now through April 21. 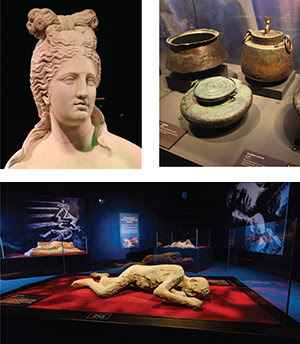 Simi Valley, Calif., – Pompeii: The Exhibition, at the Ronald Reagan Presidential Library and Museum, features over 150 authentic artifacts on loan from the renowned Naples National Archaeological Museum in Italy. The exhibit will close on April 21, 2019. The exhibit opened in October and there is still time to see the exhibit which features original, 2,000-year-old objects that were preserved in the ash. 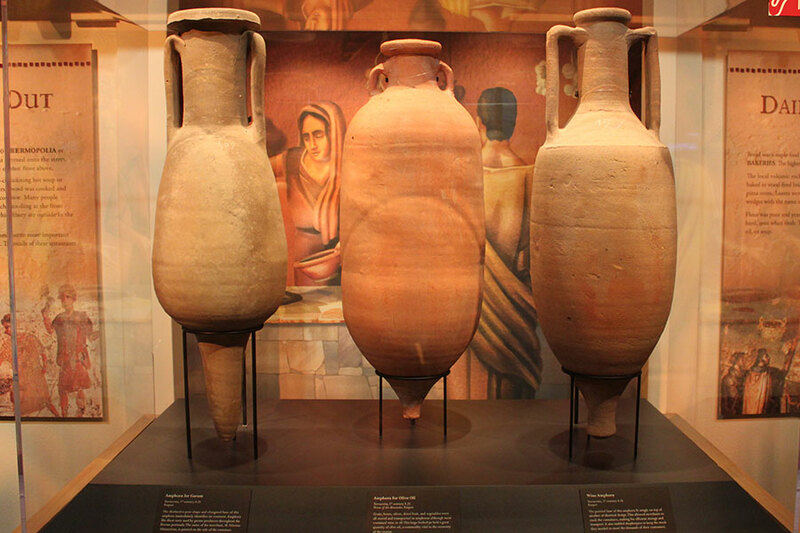 These artifacts include wall-sized frescos, marble and bronze sculptures, jewelry, ancient Roman coins, and full body casts of the volcano’s victims. Around mid-morning on August 24, 79 A.D., Mount Vesuvius erupted. Molten rock and pumice was expelled from Mt. Vesuvius at a rate of 1.5 million tons per second. Rocks and volcanic ash filled the atmosphere, turning day into night. Within 24 hours, the Roman city of Pompeii lay destroyed – and perfectly preserved – under 15 feet of ash and volcanic debris. It is estimated that about 16,000 people died in the eruption. Pompeii: The Exhibition, at the Ronald Reagan Presidential Library and Museum, features over 150 authentic artifacts on loan from the renowned Naples National Archaeological Museum in Italy. The exhibit will close on April 21, 2019. The exhibit opened in October and there is still time to see the exhibit which features original, 2,000-year-old objects that were preserved in the ash. Additionally, archaeological details present a unique record of Pompeii’s daily life including roads, buildings, and municipal services. This not-to-be-missed exhibition is thrilling for adults and appropriate for the whole family. 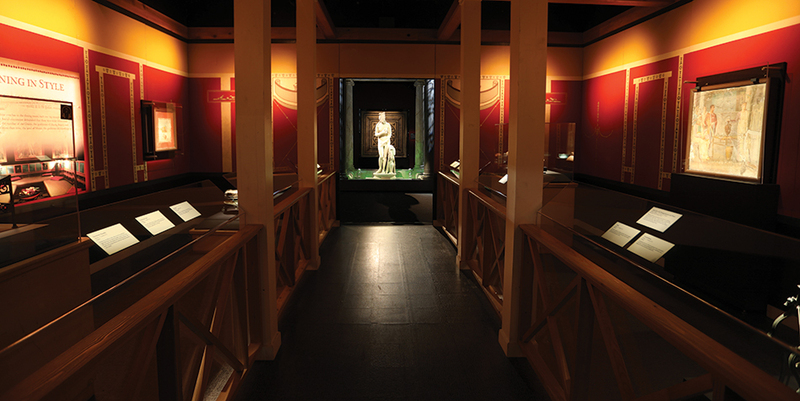 Although this exhibition is appropriate for people of all ages – and includes great history lessons for children – it’s important to remember that ancient Roman cities held a very different view of sexuality during that period, so a few of the sculptures feature era-specific depictions of men and women without clothing. There is also one area of the exhibition with more mature content (there is a parental advisory notice outside the entrance to this gallery) and the gallery can be skipped if you prefer. Our exhibit features a very realistic 4-D experience that simulates a volcanic eruption–complete with flashing lights, sounds, visuals and vibrations that may frighten some youngsters.